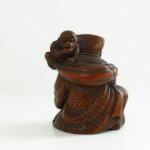 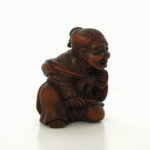 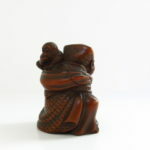 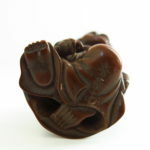 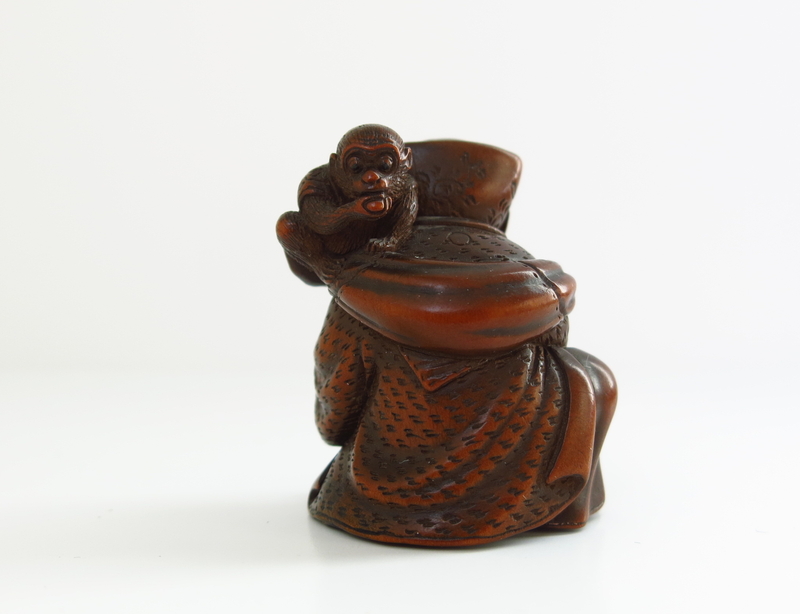 NETSUKE – By Shuosai. 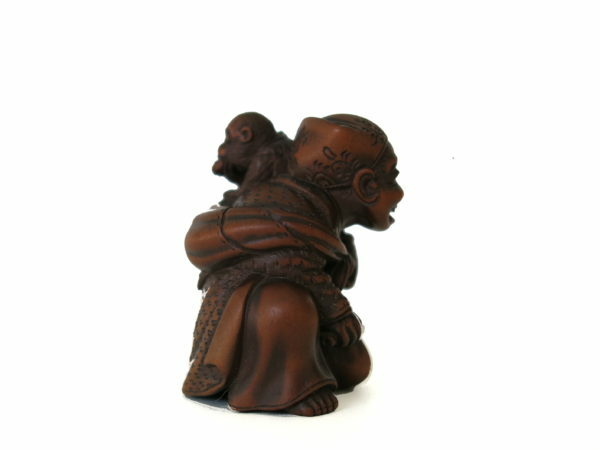 Sarumawashi and his little monkey who is wearing a coat as well,on his shoulder and a stick on his right hand. 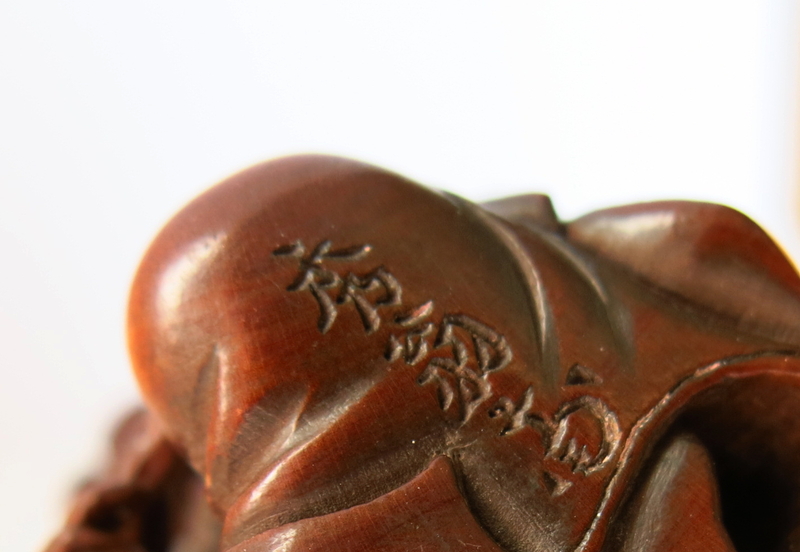 His robe is engraved and thedetails are carefully carved. 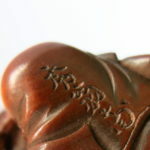 Signed under the base. 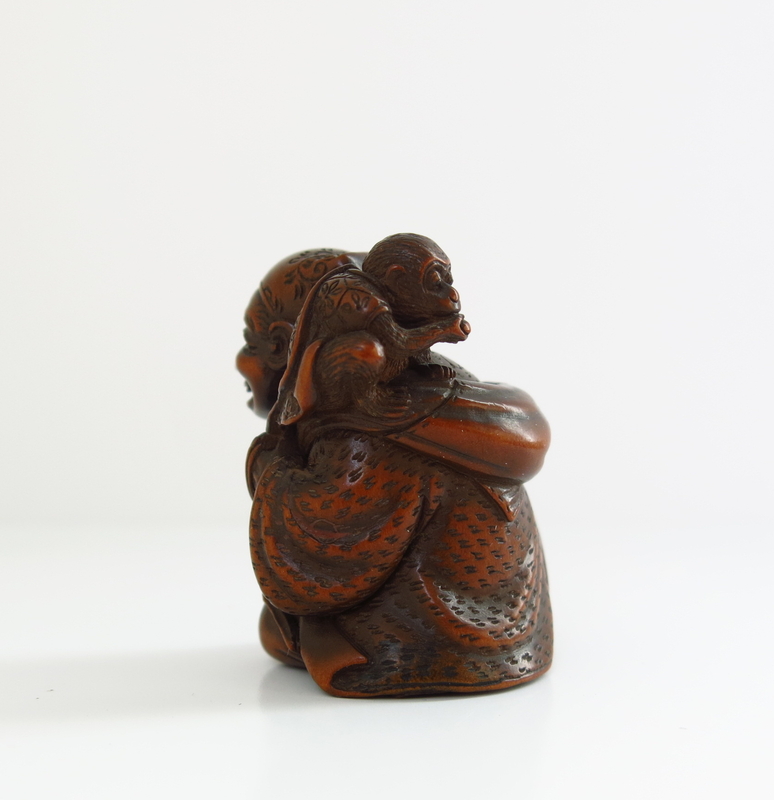 Japan Edo, 19th centuy.